Schalisee is located in the flat valley floor within the village of Täsch. It is at 1,428 m amidst larch trees and open fields of grass. An ideal place for families to stay and relax. The waterskiing lift (Rixen Little Bro 2.0) has a length of 109 m. Sustainability plays an important role in this project. The electric powered lift is quiet and environmentally friendly, and it will be completely dismantled in autumn. 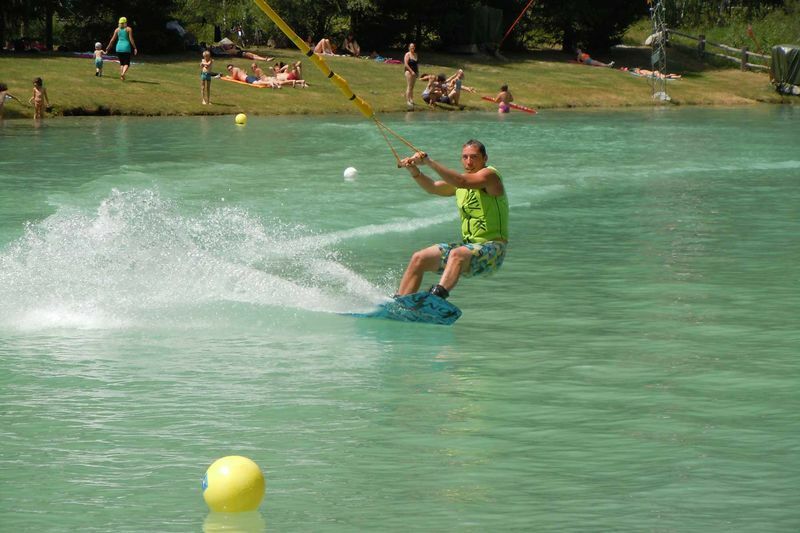 Water skis, wakeboards and swimming aids are available. We work closely with the following equipment suppliers: Ronix wakeboards, Blast Combo water skis, Rip Curl wetsuits and Pro Tec helmets.